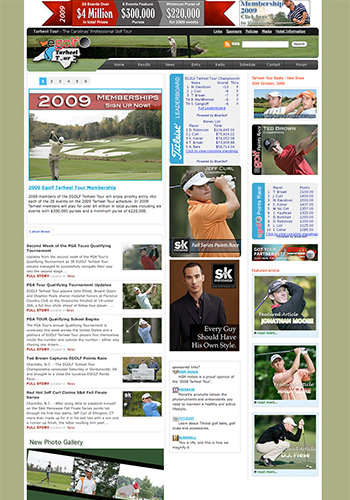 Gottalife took on the full management and development of Tarheel Tour with a focus to grow the business and its media reach. This project was very successful resulting in the in-house development of a major website with over 8,000 hrs of design and development. We produced and launched Tarheel Tour Radio which was also a great success as well as providing all professional photography. 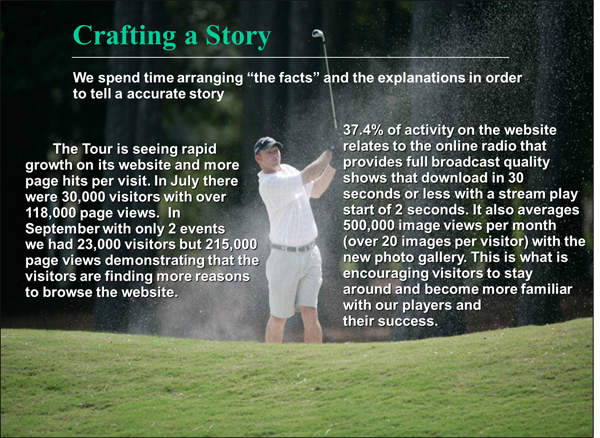 The whole project lasted for 2 seasons and the growth and awareness of the tour grew over 100 fold resulting in the sale of the company to Egolf Professional Tour. 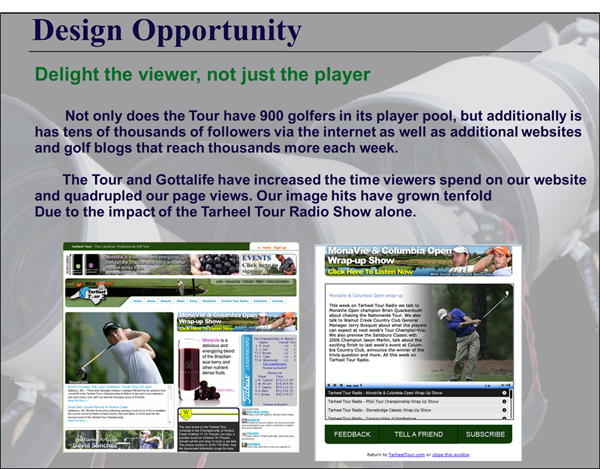 The feedback from the pro-golf players and the sports industry put Tarheel Tour as the best place to play in developmental Golf in the USA bringing the largest exposure developmentl golf had ever seen.